Originally presented as an unrelated story, this series was later officially declared a part of the JoJo storyline. 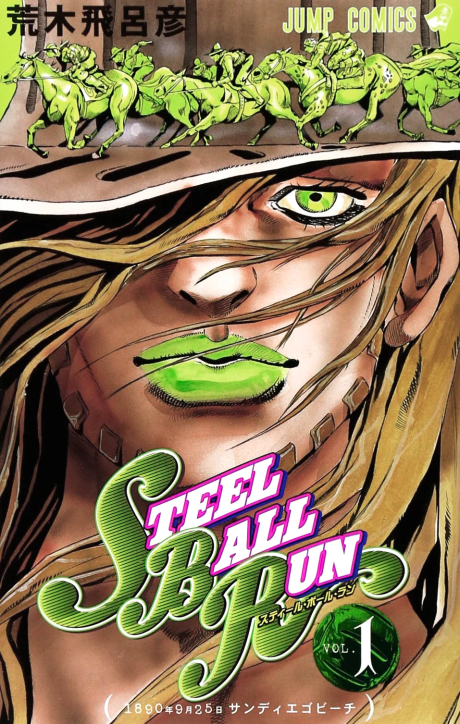 The series stars Gyro Zeppeli, who uses a set of steel balls that spin incredibly fast, and Johnny Joestar (Jonathan Joestar), a former hot-shot jockey who was crippled by an ambusher and lost his fame and fortune. They race, along with others, in a mad-dash across America for 50 million dollars, reminiscent of The Cannonball Run.